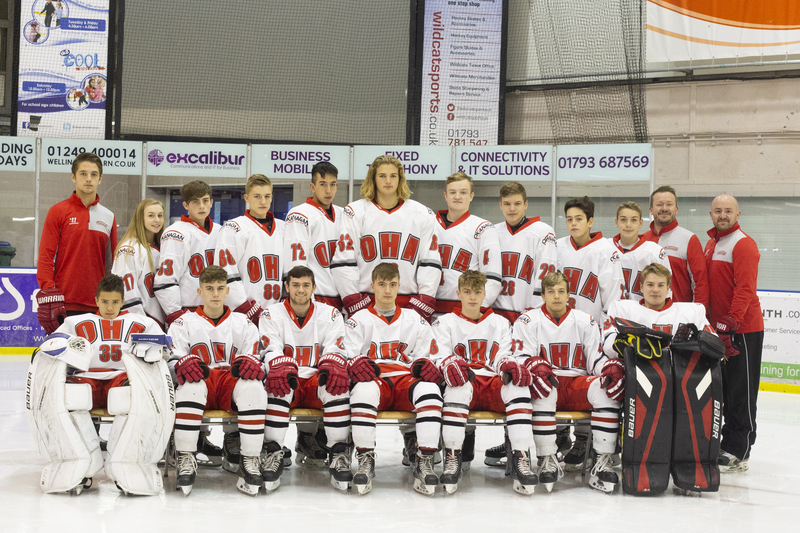 OHA UK kicked off 2019 at the Link center versus League leaders Swindon. Okanagan were looking for their first victory over their rivals, after two hard fought games already had seen Swindon take a win and a tie. The game started a tight encounter with both teams not giving up much early on. And it was with OHA playing a man down, with Jake Williams sitting a two-minute minor that they found the opener. Great work on the Penalty Kill from Reed Sayers created a turnover and putting Jack Goodchild in, who finished over the Swindon Netminders shoulder from a tough angle. It would take Swindon less than two minutes to tie the game, and then take the lead two minutes later the Power-Play, with a Mason Lipsey double taking the game into the first break 2-1 to Swindon. Second period started more end to end and open than the first period with both teams getting chances. And it was Swindon that found the net first, at 23.52, Again on the Power Play, Jasper Foster finishing after a breakdown at the OHA Blue Line. Special Teams were becoming important as both teams took penalties through the period, and OHA brought the game back to 3-2 on the Power-Play as good puck movement up top between Sam Taci and Joe Llewellyn saw a shot redirected into the top corner by Carter Lloyd. But Swindon would again take a two-goal lead, scoring their fourth, once again on the Power Play. Jay Warren and Mason Lispey again combining for Lispey’s third goal of the game, just past the halfway mark. But the second half of the period belonged to Okanagan as they fought their way back into the game. Again, Reed Sayers and Jack Goodchild combined, this time off a fast 3 on 2 break. Goodchild finishing into the top corner to bring the game to one goal. And 90 seconds later the game was tied. After a great rush from Ethan Mayoh forcing a save, Goodchild was on the spot to put away the rebound to complete his hat-trick and take the game into the break 4-4. The third period saw OHA UK slowly put more and more pressure on Swindon as they went looking for the lead, and potential game winning goal. But former OHA netminder Kyle Landells was in fine form for Swindon and produced several key saves to keep the game tied and frustrate OHA UK academy. It took till 55.07 for OHA’s pressure to tell, with Ross Thompson firing in the game winner from the blue-line, after good work from Oli Endicott to win a face-off, and pull the puck back. Swindon had a late power play chance and pulled the Netminder to go 6 on 4, but OHA broke from their end and Reed Sayers sealed the win with an empty net goal. Final Score 6-4 to OHA UK. The win moves OHA UK into second place in the table. 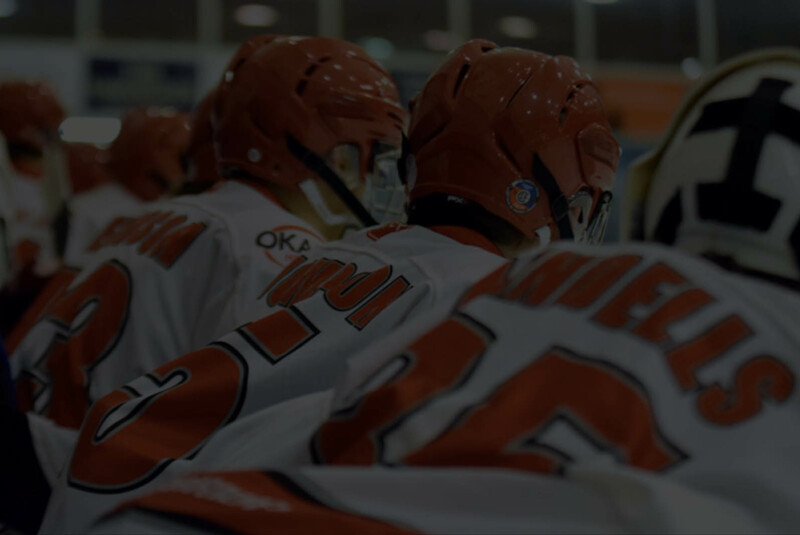 OHA UK will be back in action at the Link Centre Saturday 26th January vs Basingstoke. Face Off 1pm.